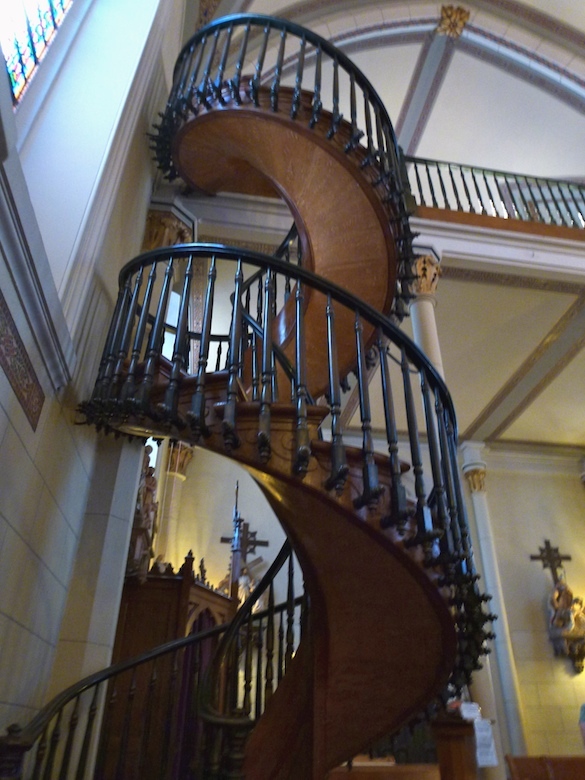 Loretto Chapel's Miraculous Staircase | Best Road Trip Ever! 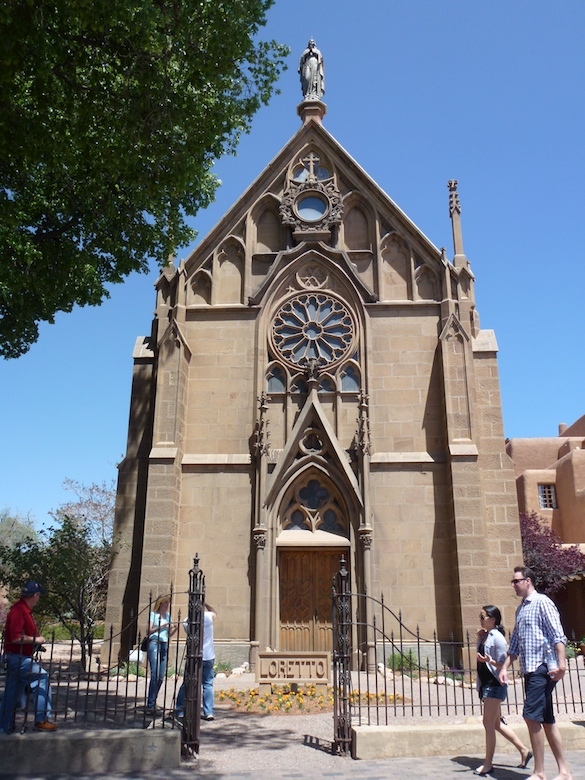 When the Loretto Chapel was completed in 1878, there was no way to access the choir loft twenty-two feet above. Carpenters were called in to address the problem, but they all concluded access to the loft would have to be via ladder as a staircase would interfere with the interior space of the small Chapel. 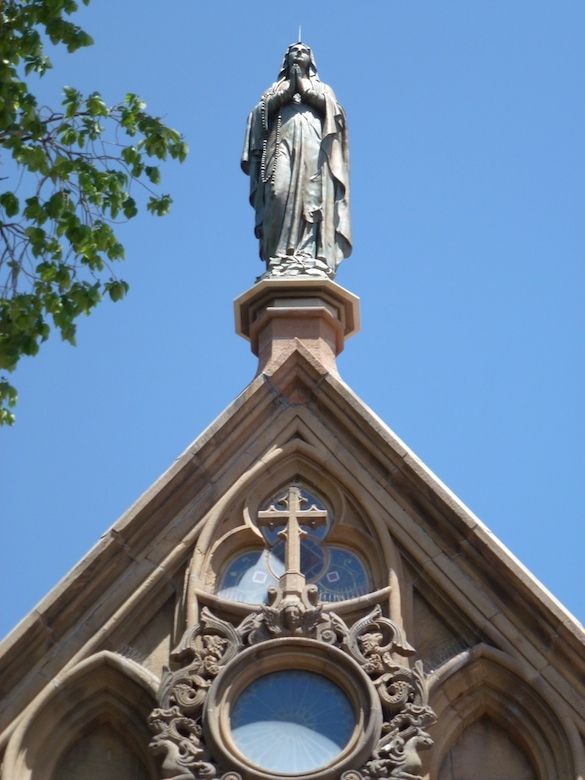 Legend says that to find a solution to the seating problem, the Sisters of the Chapel made a novena to St. Joseph, the patron saint of carpenters. On the ninth and final day of prayer, an “unknown carpenter” appeared at the Chapel with a donkey and a toolbox looking for work. 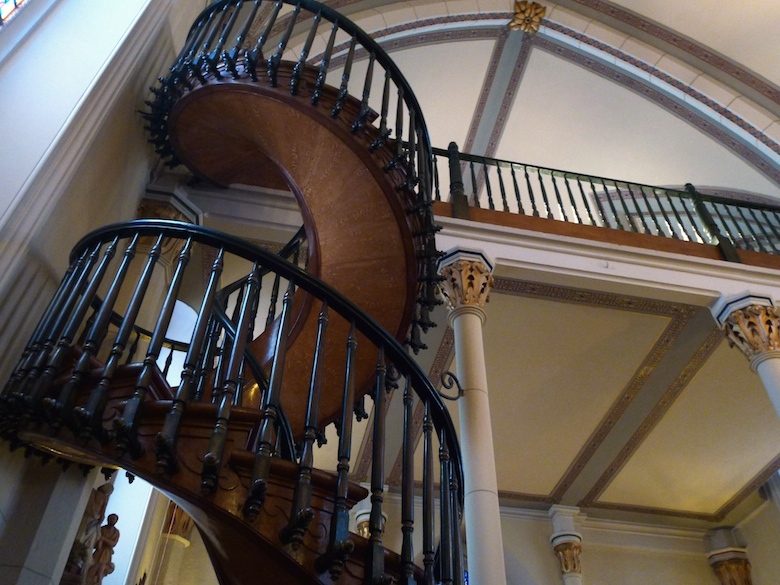 Months later, the elegant circular staircase was completed, and the carpenter disappeared without pay or thanks. 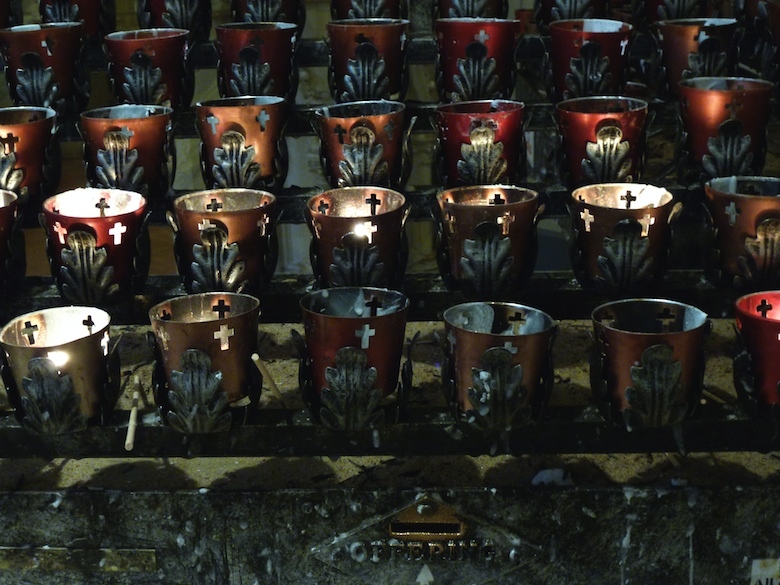 After searching for the man (an ad even ran in the local newspaper) and finding no trace of him, some concluded that he was St. Joseph himself, having come in answer to the sisters’ prayers.